Parfaits are so refreshing! With infinite flavor combinations, I don't think I could ever get bored with them. I like how restaurants put them in clear plastic cups so you can see the layers, but I don't like using plastic dishes. I don't drink often so my seldom used barware gets an outing at brunch to show off these layered treats. Garnish with a citrus wedge, fruit skewer or pop a berry onto the end of your spoon like I did for a "swizzle" spoon. 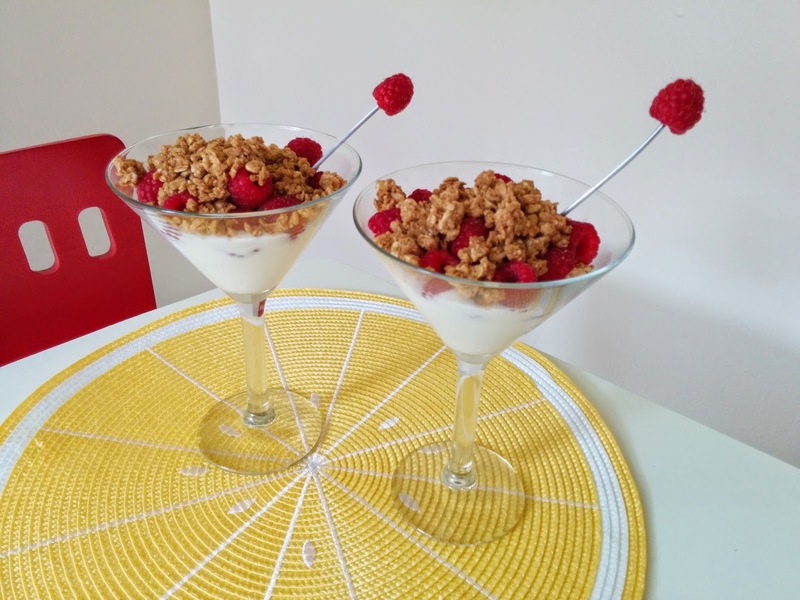 Swanky parfaits brighten up brunch and are a quick, nutritious breakfast option.